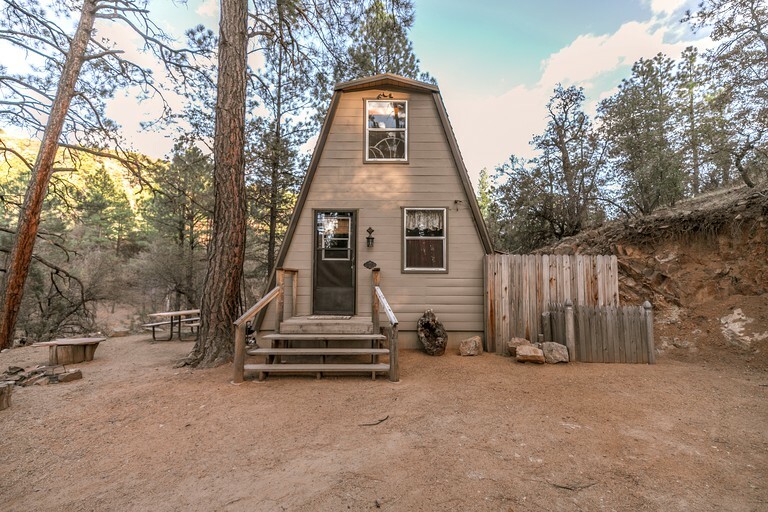 This rustic A-Frame cabin in the Prescott National Forest is in Prescott, Arizona, and can accommodate up to eight guests. 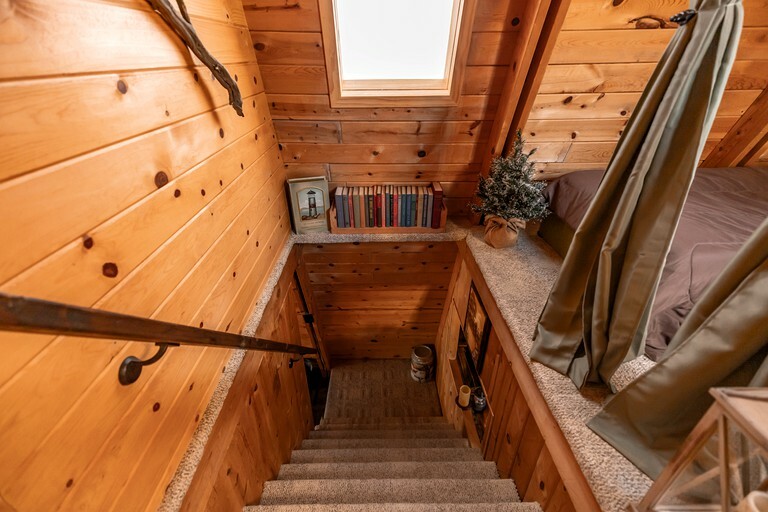 There are two bedrooms and one full bathroom, in this charming rental. 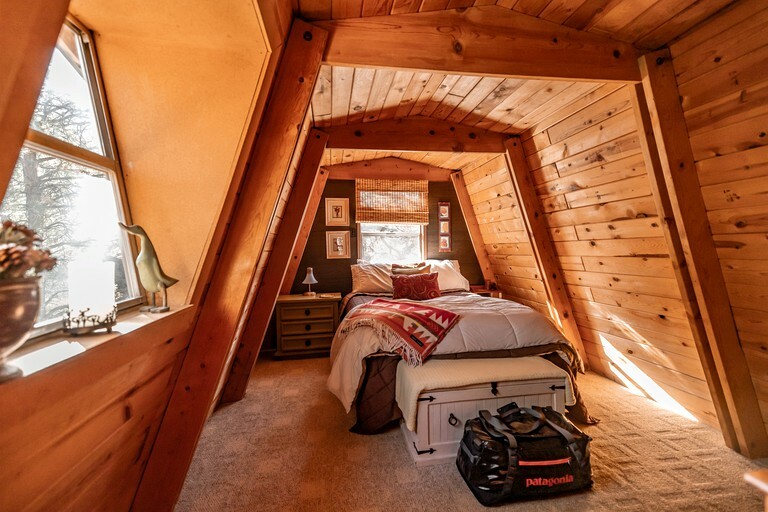 The first bedroom has a wonderful full bed, beautiful views of the surrounding forest. 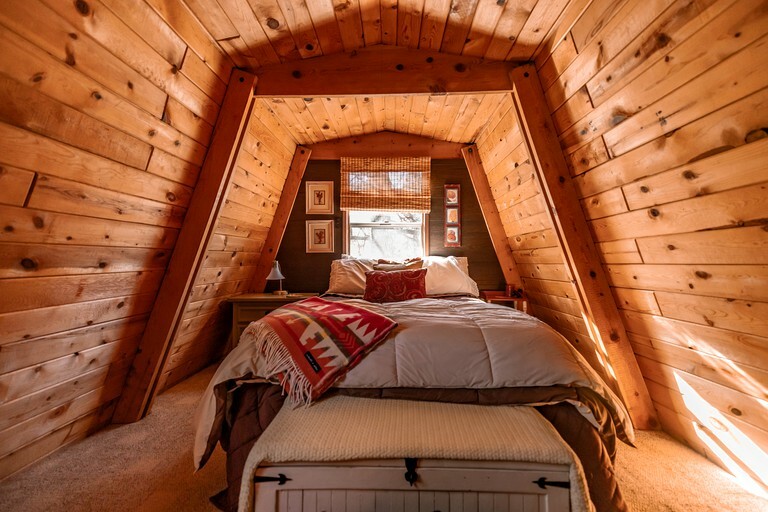 The second sleeping area has a trundle and a single twin bed, sleeping a total of three. There is a small library of books for guests to read. In the spacious living room, guests will find comfortable furniture including a futon, two luxurious chairs, and a window seating area, perfect for gazing at the lovely scenery outside. 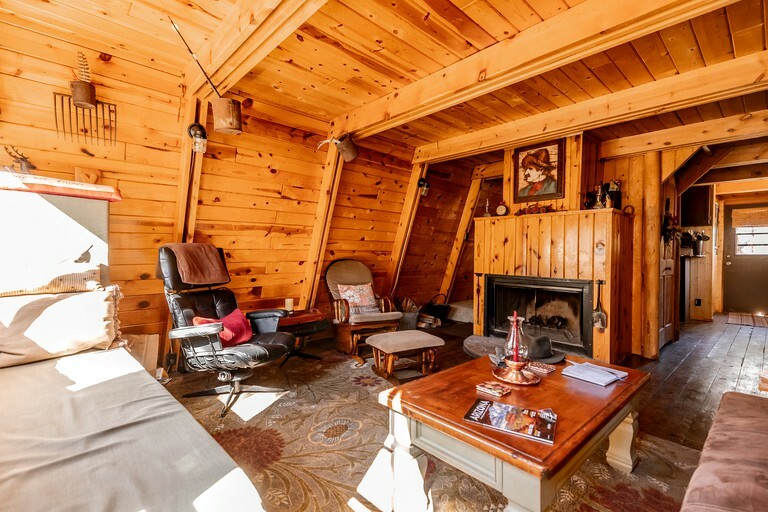 Guests can gather around the lovely fireplace after a long day, or explore the night sky through the lens of the telescope provided by the host. 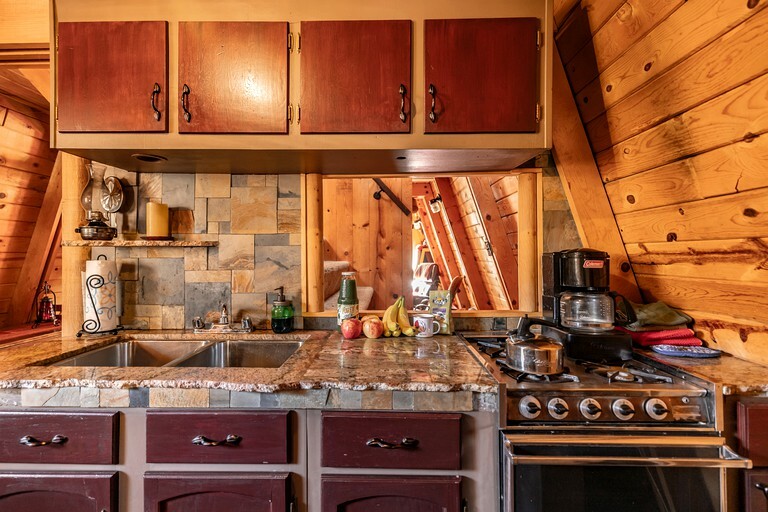 The equipped kitchen comes with all of the utensils they might need to cook up delicious meals during their stay, including a stove, oven, and coffeemaker. 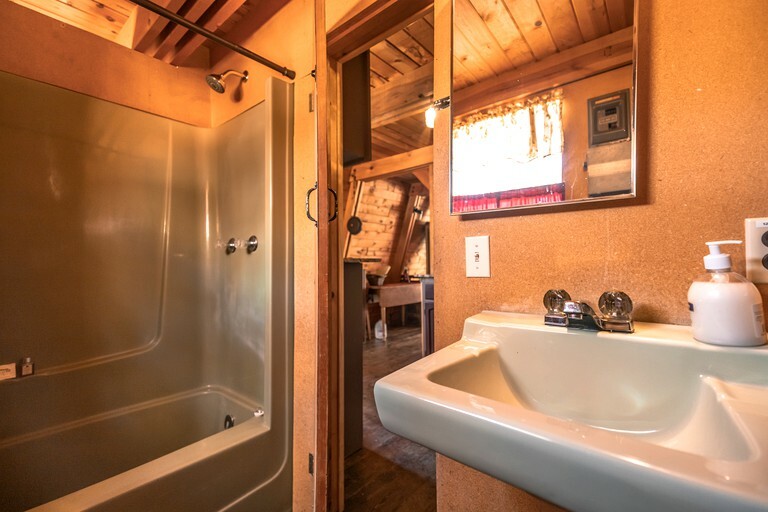 The bathroom is on the main floor, guests will find a toilet, a sink, and a shower. Linens and towels are kindly provided by the host. 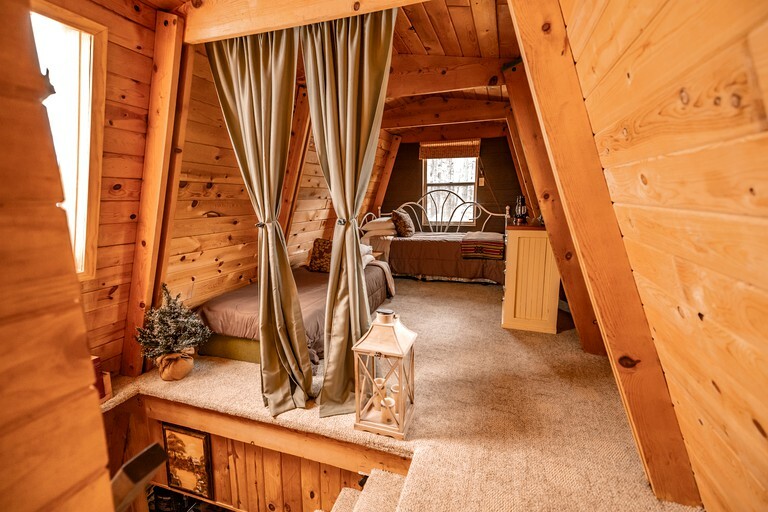 Glampers can relax in the peace and solitude of nature while also enjoying modern and convenient amenities. 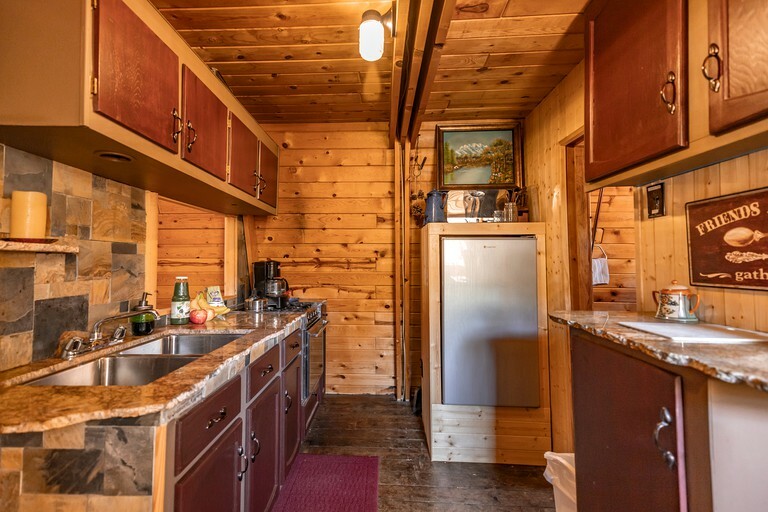 Guests will have access to a kitchen equipped with all of the utensils they might need to cook up delicious meals during their stay, including a stove, oven, and coffeemaker. 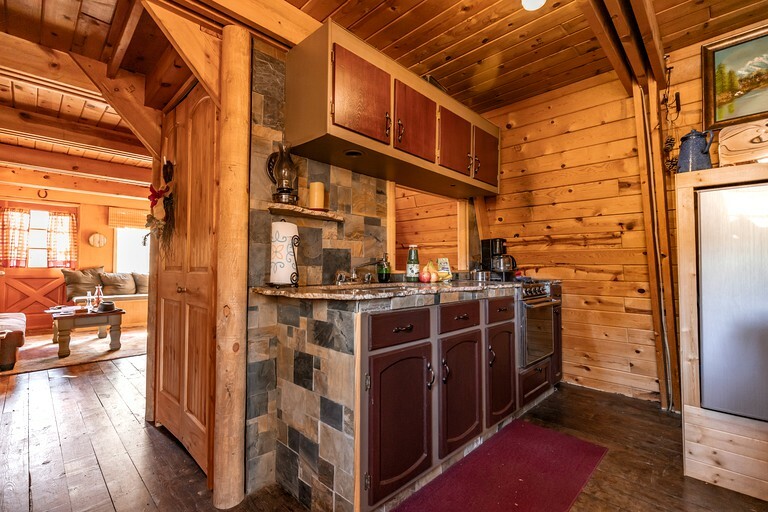 There is a cozy fireplace to keep guests warm in cold weather and an outdoor fire pit and barbecue grill, perfect for telling stories and roasting s'mores. Our Check-In/Out times can be flexible depending on the rental status the day before or after. 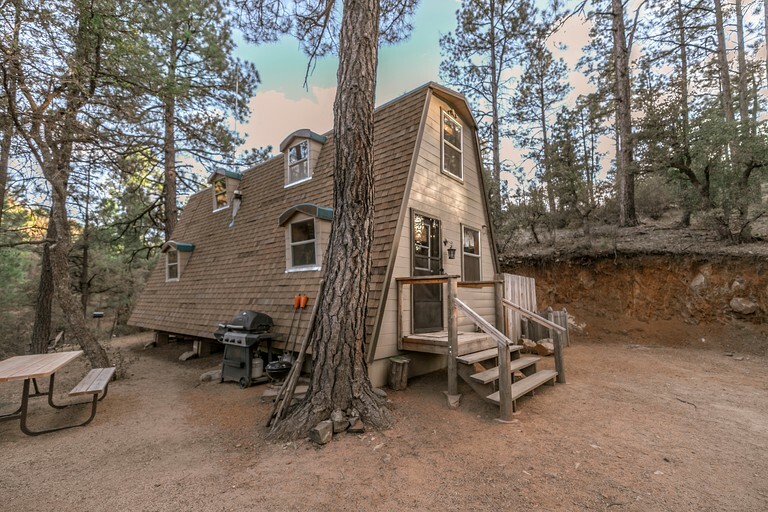 This charming A-frame cabin is situated in a serene location in the Prescott National Forest in Arizona. 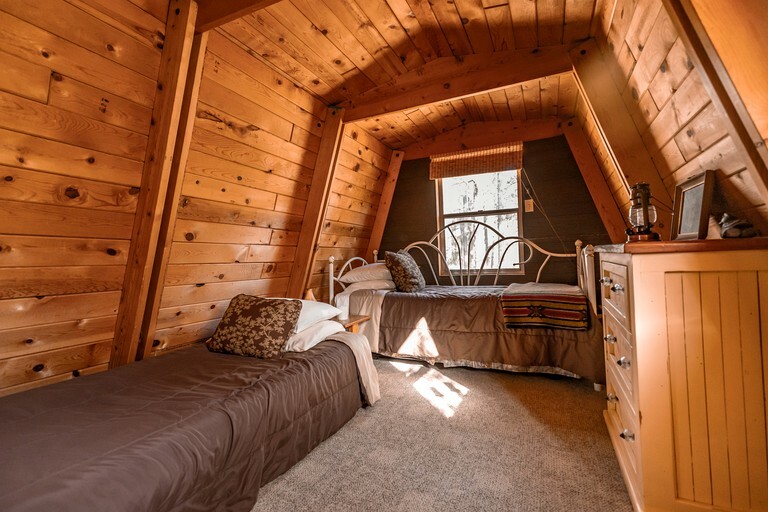 Guests will find themselves in a picturesque forest setting with Lynx Creek running through the one-acre property. 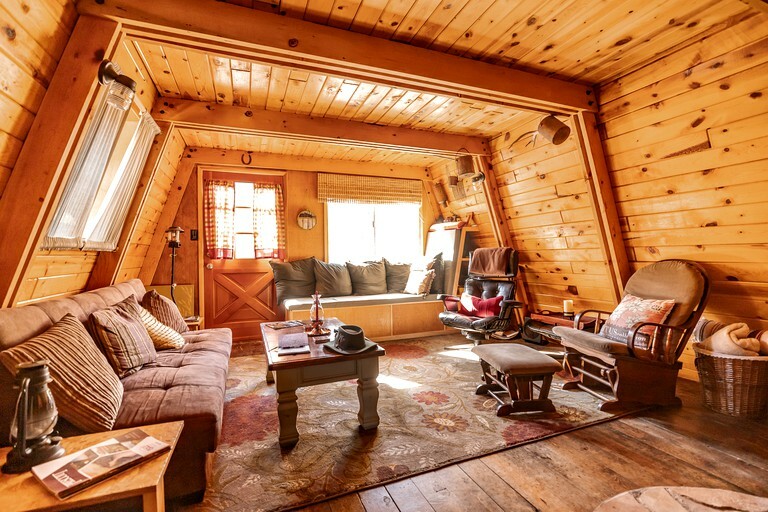 Glampers will have an abundance of outdoor adventure, majestic wildlife watching, and sightseeing in neighboring Prescott at their fingertips during their stay in this rustic cabin. 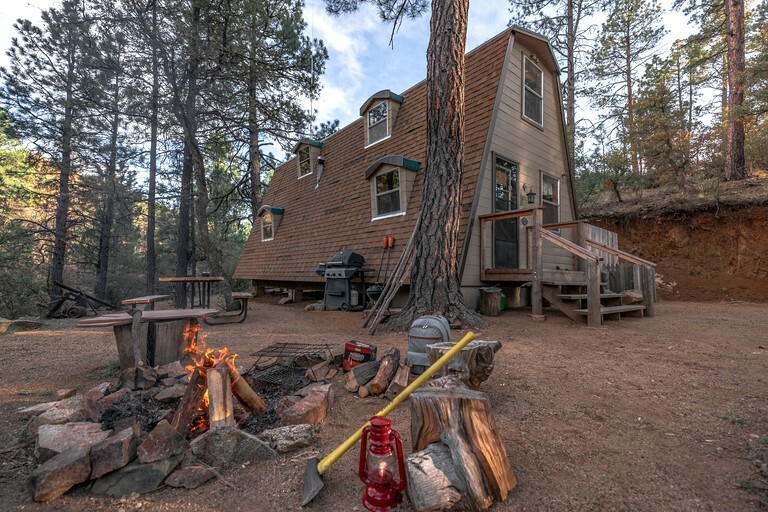 Located in the conifer forests of the Bradshaw Mountains, the area boasts some of the best hiking in the state, as well as five pristine lakes, and six golf courses. The city of Prescott is steeped in history and offers plenty of entertainment as well. Guests can follow the creek that runs through the property for a 1/2 mile walking and find the beautiful Lynx Lake South shore. Scenic Lynx lake features fishing, boating and picnicking as well as bike and walking trails. The café and store on the North shore has a variety of services. You can have a good meal with a view of the lake, fishing tackle/bait & boat rentals. Only 7.3 miles from historic down town Prescott and all the local flavors... Yet seems a private and remote local because of the gate and private road (no pavement for this 1/8 mile). 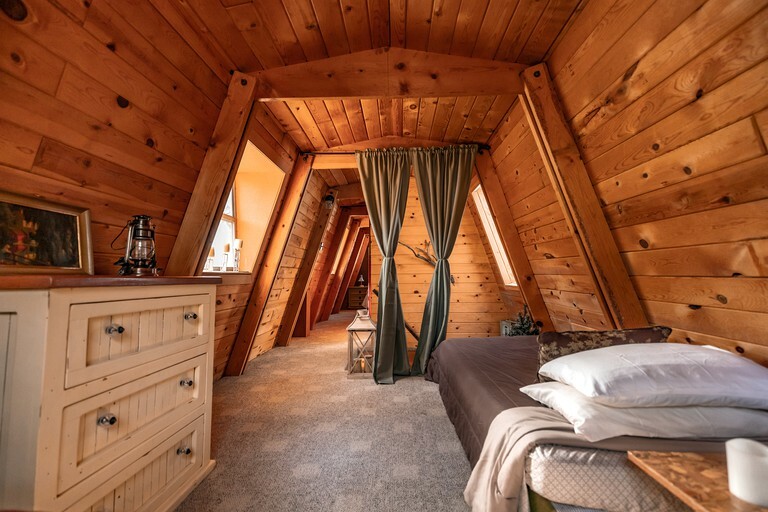 There are only four cabins in the vicinity. 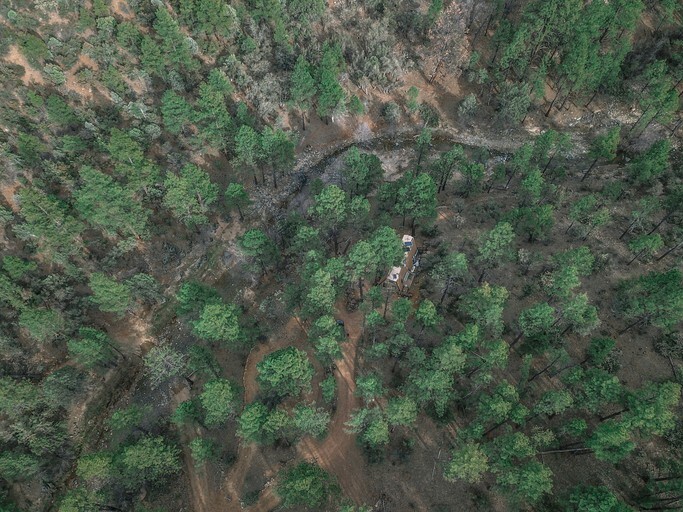 They sit on 20 acres of Ponderosa Pine, Oak, Juniper and Arizona Aspen that are surrounded by federal land. 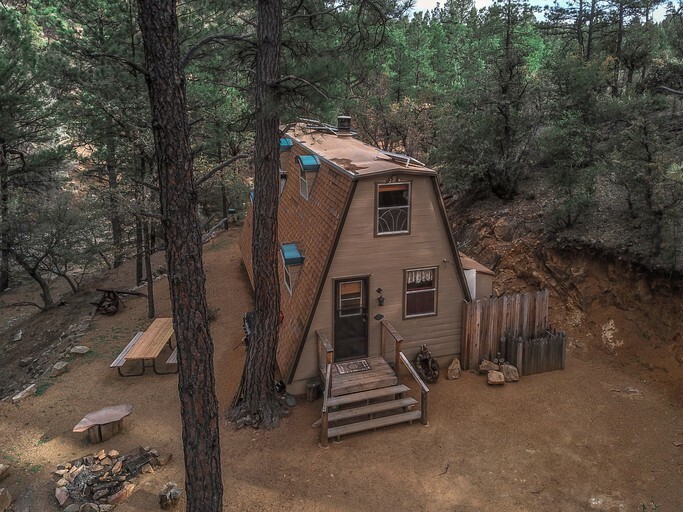 This property sits on a corner lot with only a portion connected to other private property allowing easy access to exploring, gold panning, wildlife watching, shooting, or just relaxing and listening to the rustling of the trees. Glampers will be in the ideal location for outdoor activities and adventures, making this a wonderful spot for a true escape into nature. 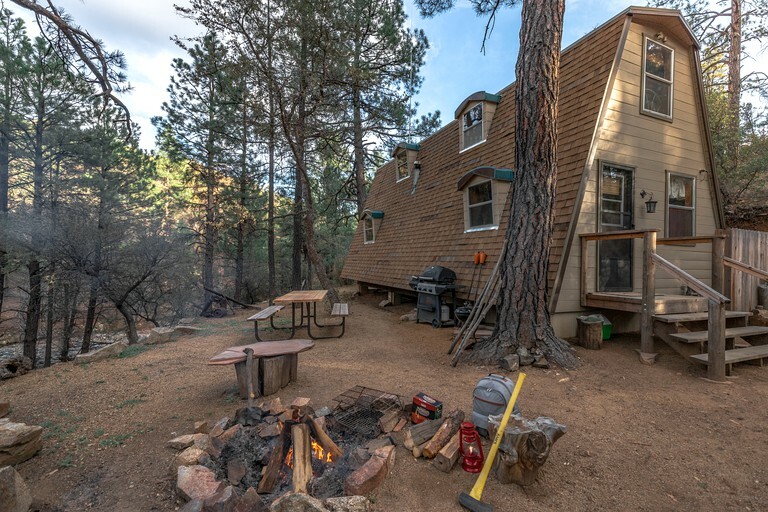 Guests will find an abundance of options nearby, from hiking the many trails to renting a boat and exploring the area by water. Lynx Lake runs directly through the property, offering an opportunity for a serene day of fishing. Watson Lake is also nearby, as well as the impressive Prescott National Forest and Prescott Peavine National Recreation Trail. These areas can be explored on foot, horseback, with a bicycle, or even on a kayak! 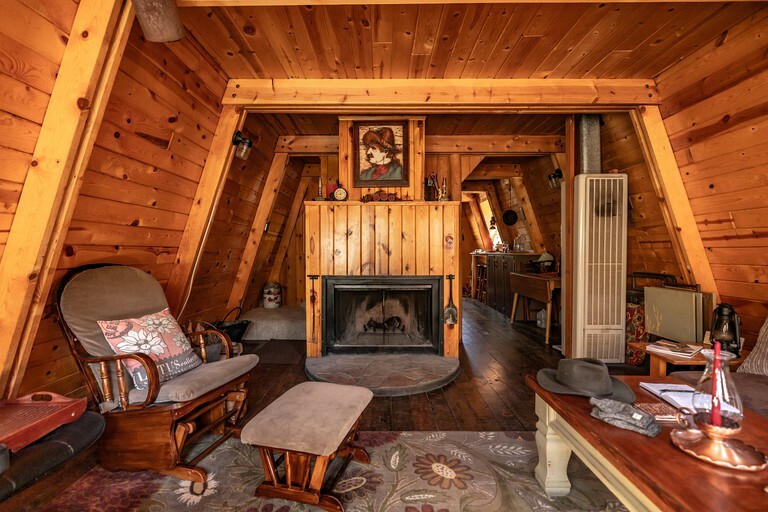 In the welcoming town of Prescott, guests can discover the history of the Old West in the city's museums and historic railways or immerse themselves in local culture at one of the many art galleries. Prescott is home to everything from the world's oldest rodeo to a quirky museum dedicated to Van Gogh's ear. 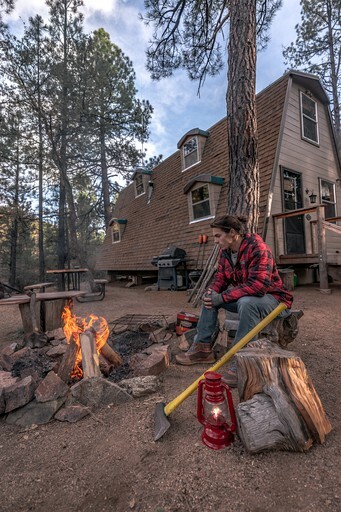 After all of that sightseeing, thirsty glampers can quench their thirst over at the Superstition Meadery, which is a local favorite, offering tastings of their mead brewed on site. The property is off the grid and operates on solar and a water tank. There is a cleaning fee of $75. Well-trained dogs are permitted for a small fee.